* How does God fit into my daily routine? * Where is God Monday to Saturday? * How can I find God through the seasons of the year? 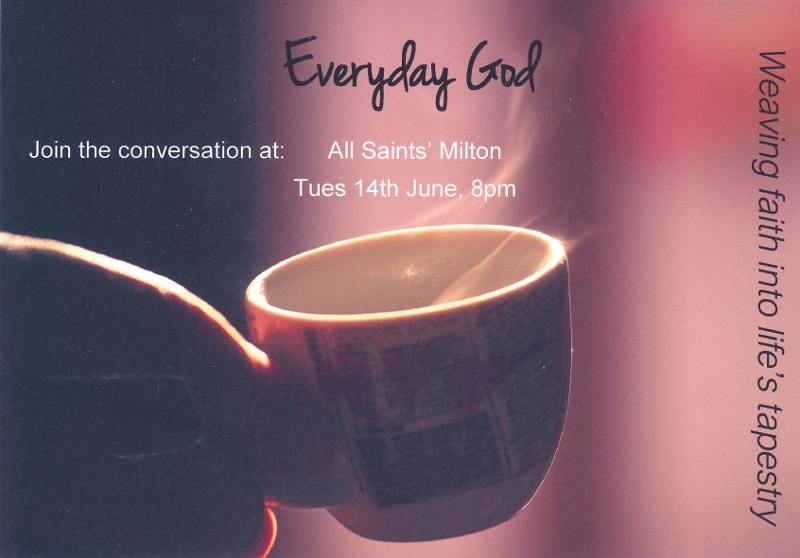 Everyday God, Weaving faith into life's tapestry: A conversation about faith in our daily, weekly and yearly lives. With bookstall & other resources to browse, and delicious puddings! 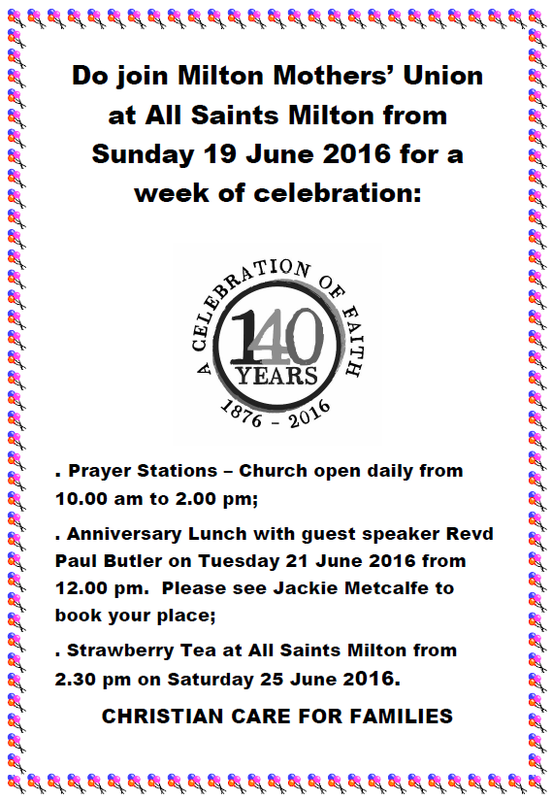 Coffee, Tea, Cake & a Chat? This summer the 10:30 serviaces continue as usual, but this summer the children will go out for a snack and their own activities for a 20 minute slot during the 10:30 services. The 8am & 6.30pm services continue as usual over the summer. All are welcome to attend the licensing service at Ely Cathedral on Saturday 1st October at 2.30pm where our own Jackie Metcalfe will be licenced as a LLM (Licenced Lay Minister), also welcoming Jackie Cottingham as LLM from St Albans to Ely diocese. Kathy English, Alan Skull and Andrew Macpherson will also be re-licenced at the service. We meet on Wednesday 13th September at 7.45pm in Church for our monthly prayer meeting. There are many things for us to bring before the Lord in our church life, and our national life, so I would encourage you to come - the meeting will last no more than an hour. If anyone is available to lead us in an opening song, that would be a lovely bonus! David.